Celebration Time: Christmas Eve Party Accessories + Reader Discount Code! Ready to let your hair down on Christmas Eve? Whether you'll be with friends or family (or both! ), here are some must-have party accessories to add a bit of sparkle and bling to your look. 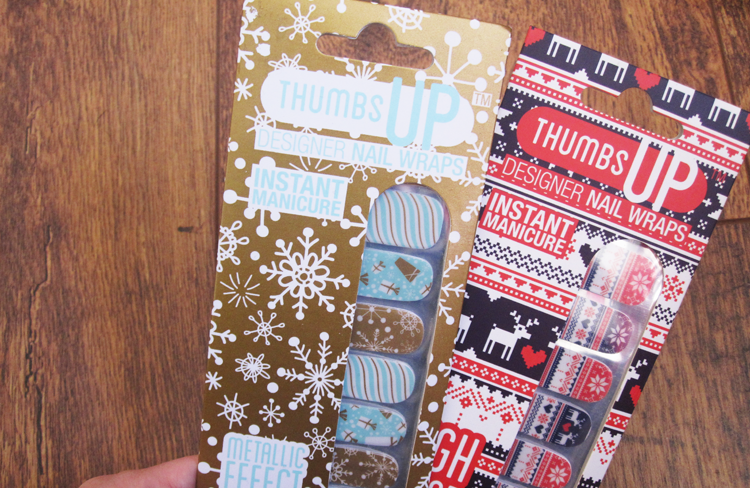 If you like nail art, but like me, aren't particularly good at it, then these Nail Wraps from Thumbs Up are an easy alternative. These two new festive offerings feature a pretty Snowflake design and a Christmas wooly jumper design - how cute? The wraps are very thin which makes them a lot easier to apply and smooth out than some of the other brands I've tried out (I didn't experience any air bubble problems with these). Very easy to work with and I've had a lots of compliments on the Jolly Jumper design. The trend for metallic temporary tattoos is still going strong and their golden designs are a perfect match for the holiday party season. There are absolutely loads of different brands on the market to choose from, so I thought I'd show you these new ones from Melanie Sykes' Limited Edition collaboration with Glimmer. You get two sheets in the pack and there's a good mix of large and small sizes, as well as lots of bracelet designs to choose from. If you remember those temporary tattoos from the 90s/00s, these work in just the same way - cut out your favourite/s, apply to clean dry skin, add a little water and press firmly for 30 seconds, then peel off. Glimmer have kindly given me a discount code that my readers can use to get 20% off - just enter WOLVES20 at the checkout at glim-glam.com - enjoy! I almost always save false lashes for special occasions and parties, and like to choose ones that are a little different to the norm for events like Christmas Eve and NYE. 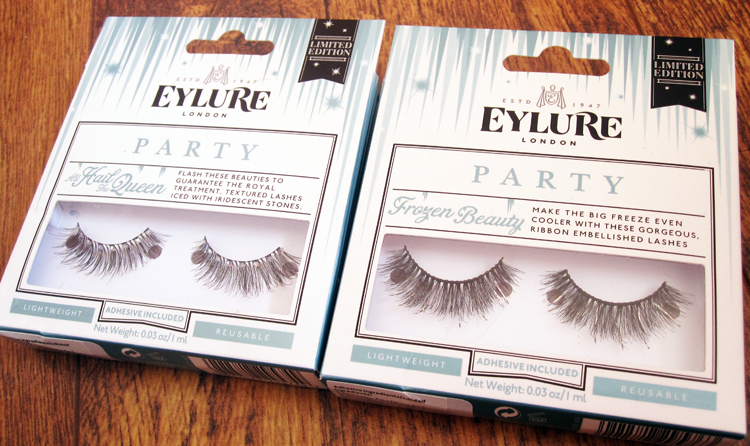 The party range from Eylure has a bunch of fun limited edition designs like these two which really help to jazz up your look in a matter of seconds. All Hail The Queen has a textured and angled lash complete with tiny iridescent stones along the upper lash line, whilst Frozen Beauty is more dramatic with a fuller lash and interspersed fine shimmery ribbon. If you like the look of these, they're currently in the 3 for 2 offer at Boots. What are your Christmas Eve party accessories?